Beautiful stone house for 4 persons, completely fenced, WiFi, A/C. The holiday house consists of open living room, kitchen and dining area. In front there is covered terrace with dining table for 4 persons and barbeque. Two double bedrooms with double beds have bathroom with shower and toilet. One bedroom has access to the balcony. Kitchen is fully equipped with stove, dishwasher, microwave, kettle, coffee machine, freezer and fridge. There is also smart TV, free internet, washing machine. Smoking is not allowed in the house. Pets are welcome. Holiday home has its own garage. It is surrounded by wonderful nature and is ideal for relaxing. The wonderful house was completed in 2014 and is therefore a new and very cozy holiday house. It is surrounded by wonderful nature and is ideal for relaxing. In front of the house is a courtyard with parking space. The friendly hosts are always at your disposal. The small village Kringa is located above the Lim Fjord. For centuries shrouded in secrets and legends about vampires and it is therefore all the more frequent destination of tourists. It is well known for the hiking trails of the stone walls, which are the trademark of the place. 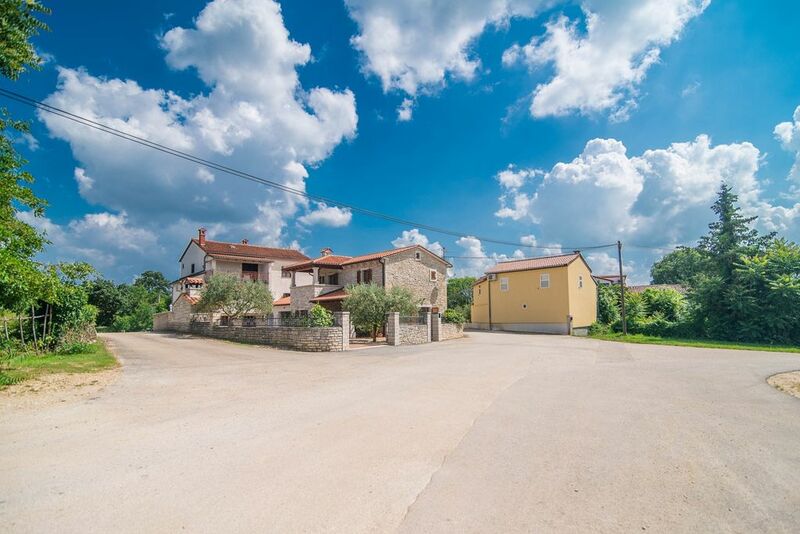 Near Kringa is Tinjan, the center of the municipality and the Istrian prosciutto.